The SmartSea project aims to provide science-based guidance and new innovations for the sustainable use of the Finland's marine resources. To meet this challenge, we have formed a team of leading experts in marine biodiversity, fisheries, marine geology, ocean physics and modeling, coastal engineering, maritime spatial planning and geography, and created a strong linkage to relevant stakeholders. 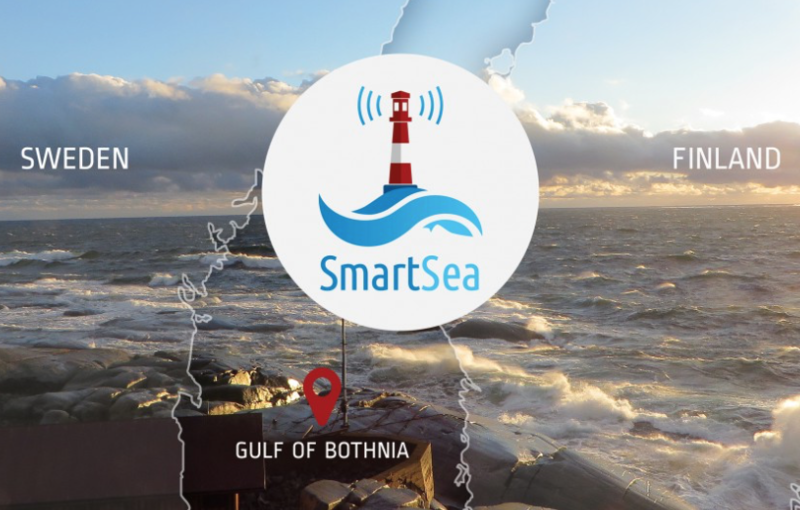 The SmartSea project will create new potential for development and growth of the Gulf of Bothnia region by providing high quality data and efficient tools for marine spatial planning. SmartSea project is focused on the Gulf of Bothnia as its active maritime sector ensures vast potential for Blue Growth. In addition, it is still relatively untouched compared to the other Baltic Sea areas. Furthermore, climate change will most probably have the most drastic effects in this area. In SmartSea, the integrated value of nature will be assessed and in order to be effective, discussed with the different stakeholders. In the future, this helps planners to do decisions that are accepted by the society. SmartSea project will bring zoned area thinking, Marine Spatial Planning, into marine areas as a tool to ensure efficient resource utilization. This is achieved by tight interactions between scientists and people applying the information, as SmartSea aims to provide accurate information of the application possibilities of marine areas for the decision-makers. New innovations studied for efficient Blue Growth, including sustainable fish farming for enabling recycling of the nutrients and reduce the impact of climate change significantly. Estimate of the prospects and possible harmful effects of the seabed sand/gravel and mineral extraction to underwater nature of the Gulf of Bothnia, in order to assess whether seabed extraction could provide a more sustainable way of mineral resource extraction than terrestrial methods. Accounting for climate change through the modeling approach to provide long-lasting guidelines for design requirements for offshore structures, economic optimization of food resources and aquaculture. Development of the multiplatform concept, which enables the combination of different offshore infrastructures in feasible and sustainable way. As the realistic applications of the marine areas will change in the coming decades, the emphasis is put on operations concerning 10-20 years in the future, but projections as far as 50 years in the future are included. New risk analysis tools and data sets that will be developed to assist maritime spatial planning offer an opportunity to assign value judgments that combine optimally all the different sectors. The methods used will ensure long-term use, and easy and straightforward development of the tools for any public or commercial actor. Tools and results obtained and developed in SmartSea will be made available and easily accessible for all stakeholders. A final report and related publications are expected by end of 2018.